Announcement: The next meeting of the Knitters’ Debate Club is TODAY. The topic: Slipping the First Stitch of a Row. Note: If you must throw things at the debaters, please keep it limited to soft items like skeins of unwanted eyelash yarn and sloppy pompoms. My mother slips the first stitch of all her rows. I don’t. We have reached détente. There’s an old joke about the woman who cuts the ends of her pot roast. A new bride cuts the ends off the pot roast before cooking it, and her friend/new spouse/mother-in-law asks her why. She doesn’t know, she says, but her mom always did it that way! They ask Mom, and her reply is that her mom always did it that way! They ask Grandma why. Turns out that when Grandma was first married, she only had one cooking pot. It was too small, so she cut the ends of the pot roast to make it fit. I feel the same way about slipping the first stitch of every row as I do about cutting the ends off a pot roast: it’s a piece of advice that requires context. Slipping the first stitch of every row is a very good thing to do in some circumstances. 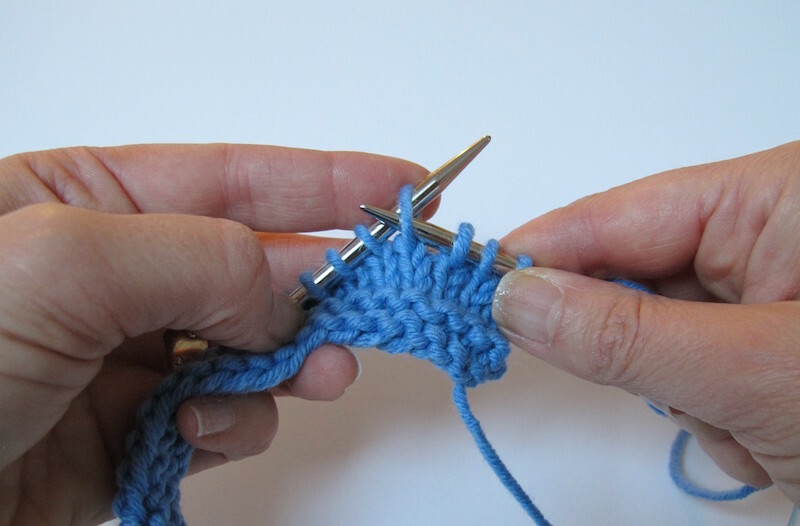 Slipping the first stitch of a row expands the edge stitch vertically, making it two rows tall. This means that you don’t get that weird uneven and twisted stitch that comes from working the edge stitch twice in succession. It makes the edges of a piece tidy and clean. A slipped-stitch edge: very pretty! A regular edge: less pretty. Slipping the first stitch is particularly fantastic for garter stitch. a Slipped-stitch edge in garter: very pretty! A regular garter-stitch edge: less pretty. 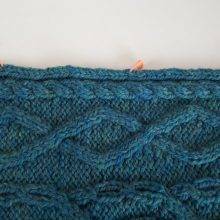 A tidy edge is just what you need if the edges of the piece are going to be visible in the finished project—for a shawl or scarf, for example. As mentioned above, slipping the first stitch of a row expands the edge stitch vertically, making it two rows tall. This means that you’re reducing the number of stitches at the edge by half. On a regular edge, there are regularly spaced gaps, with one bar for each row. On a slipped-stitch edge, there is a bigger gap between the bars, and each bar is actually two strands. 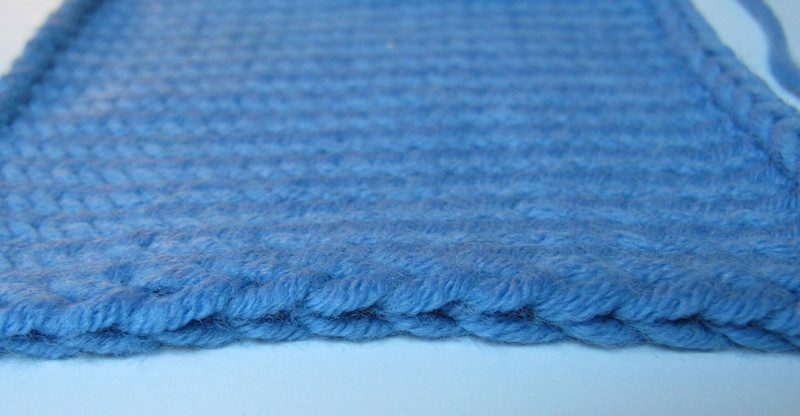 A slipped-stitch edge stitch makes the seam looser and less stable. It’s easier to seam when there are only half as many stitches to join, but it’s not as good a join. For the same reasons, a slipped-stitch edge is not as good for picking up stitches, either—with one notable exception I’ll discuss in a moment. As explained in my article on picking up stitches, you’re usually picking up the stitches relative to the stitch-to-row ratio—typically 2 stitches for every 3 rows or 3 stitches for every 4 rows. If you slip the first stitch of the row, you halve the number of available places to stick the needle, making it practically impossible to pick up enough stitches (without some serious jiggery-pokery, anyway). The big exception here is for flap-and-gusset sock heels. The standard technique is to slip the first stitch of every row on the heel flap, and then pick up one stitch for every slipped stitch along the edge (plus a couple more in a key location, but that’s a topic for a later date). 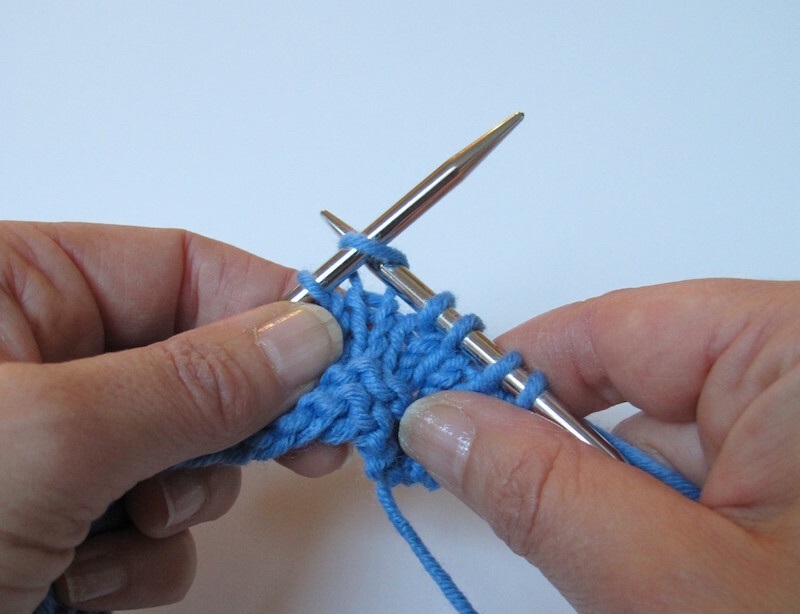 This means that you’re picking up one stitch for every two rows. This is less than usual, a ratio of 50% rather than the usual 66-75%. But this works because you’ve likely worked your sock heel flap in a slipped stitch pattern, which compresses the rows—that is, increasing the row gauge, adding more rows per inch. So you don’t need to pick up as many of them to get the same number of gusset stitches. 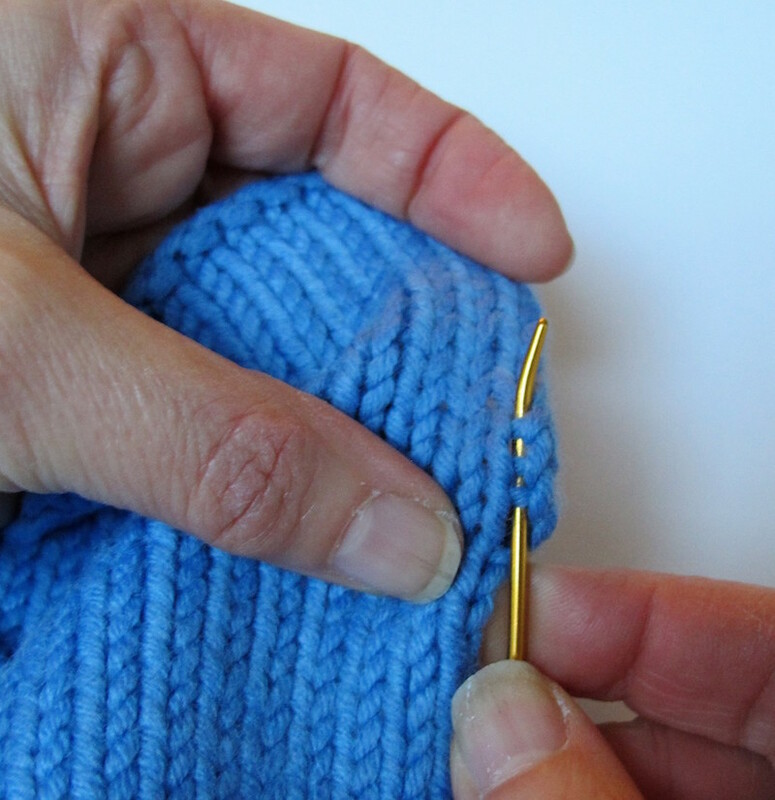 When slipping a stitch, there are two variables: how to put the needle in, and where to hold the yarn. Slipping a stitch knitwise changes the position of the front and back legs of the stitch as you slip it. 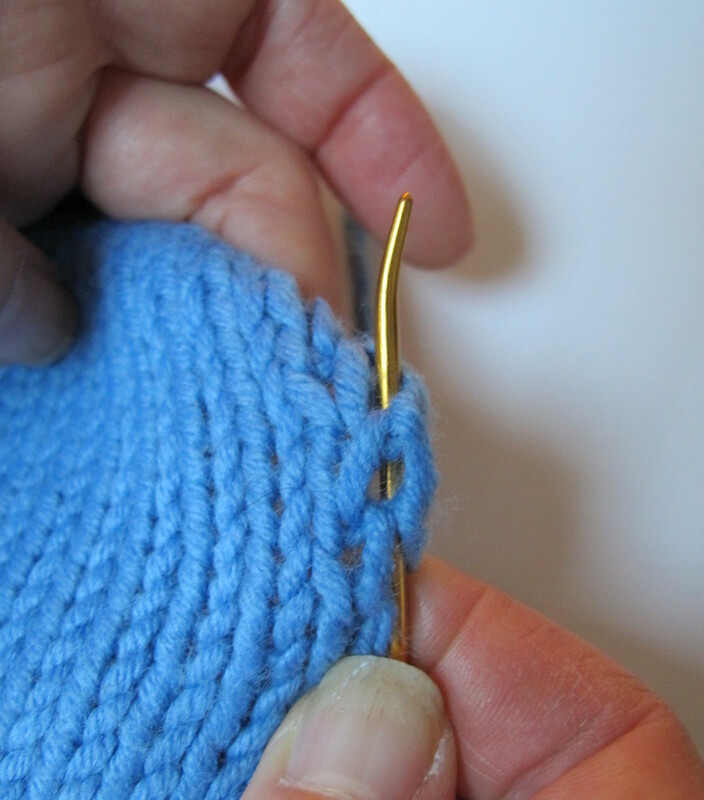 Slipping a stitch purlwise keeps it in the same position or mount on the needle, and is the most common way to slip a stitch. 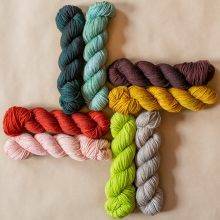 Abbreviation: “WYIF.” most often used on a purl row. 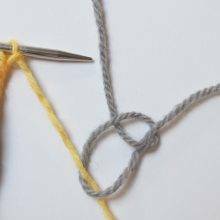 But note that when you’re slipping stitches, the yarn position is independent of the needle direction. 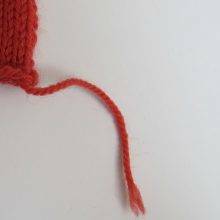 To be explicit, this means that it’s possible to slip a stitch purlwise with the yarn in the “knit” position, in the back. If working a stockinette- or reverse-stockinette-based fabric, the yarn position (that is, whether it is held in front or back) is set by the row. That is, slip the stitch with yarn in back if it’s a knit row; in front if it’s a purl row. If you’re working a garter-based fabric, slip the first stitch of the row with the yarn held in front, and then take it to the back before working the next stitch of the row. This causes the edge stitch to turn sideways, leaving a clean chain edge. 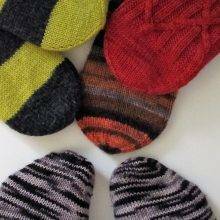 If you’re slipping a stitch at the start of a row, or in the middle—for a heel reinforcement, colour or other textural pattern—it’s always purlwise. With the yarn in the appropriate position for the row, of course. 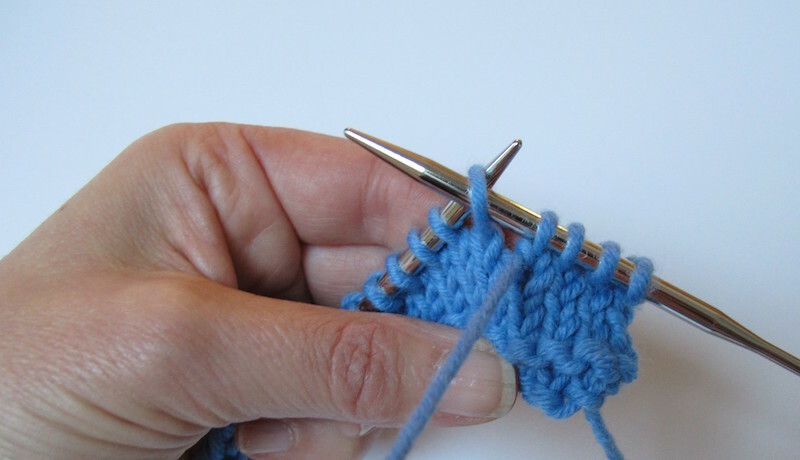 Unless the pattern or stitch you’re working makes a specific and explicit exception, the only time to slip a stitch knitwise is when working a decrease, such as SKP, SSK, S2KPO, SK2PO, etc. There is an argument about slipping the second stitch of your SSK purlwise, but we will save it for a future meeting of the Knitters’ Debate Club. 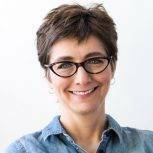 Kate Atherley tells us how to do it, when to do it, and why. To slip or not to slip? That is the question! Bless your heart for this keeper, as most patterns assume you know…. I tend to slip stitches to make it easier to pick up stitches for a button band but now you’re making me reconsider. Although I’ve never had issues before. I slip stitch the first stitch in your hand towels… makes a pretty edge. I actually slip stitch all edges. Can’t think of when I don’t. I’ll have to look though and see how my seams join. 1. The designer is just following her/his mother/grandmother and prescribes the slip first stitch out of habit? 2. 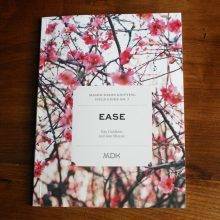 You are making a hap where you have a central garter stitch centre, then need to add on a knitted edging. Do you slip your stitches or not? You seriously NEVER slip stitches in Shetland knitting (except for stocking heels). A slipped-stitch edge is less elastic than a garter one, and a garter-based shawl lives and dies on elasticity. 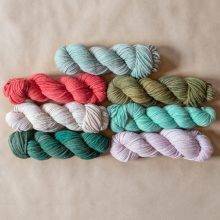 Try taking two lengths of scrap yarn, one for each side, and flipping the end over your working yarn before you turn the row. Keep it up and you will have the scrap yarn running through the end loops, making them easy to pick up. Trick learned in Lerwick in 1981! I’m working on a Hancock cardigan now, which has a huge garter stitch collar (11 inches as per pattern, if I recall correctly, but I am going to knit until I run out of yarn, maybe 8 or 9 inches). It’s 300+ stitches. After the first few inches, I realized that I should have slipped the stitch at the beginning of each row to get a nice edge. I had done this in a previous cardigan with a garter band as stated in the instructions and the edge was so pretty and neat. I definitely was not going to rip out a few inches of 300+ stitches on my Hancock to fix the edge, but I’ll add the suggestion to my Rav project notes. In general, I don’t slip stitches unless instructed to by the pattern. When I discovered Russian gratting, I also discovered that slipped stitch edges work very well to make lovely flat, non irritating seams. I’d have to make a video to show how I do it, but I can just say I love seaming now, I hated seaming before. A really good series of explanations. Also, you can get a chained edge to garter stitch for each row by knitting to the back of the stitch, rotating it into position to avoid the knot. And you still have one stitch per row for picking up or seaming. While I don’t have a strong opinion on this subject (except maybe “don’t throw things at me”), I wanted to take this opportunity to come out of my usual lurking status and tell you how much I appreciate your clear and even-handed explanations, and your lovely images that are always so illustrative of the concept you are trying to explain. It is always such a pleasure to read your words. Jittery-pokery….a new knitting term! Excellent article and will save as I did with Kate’s missive on picking up stitches. Thank you for this very informative article. I agree with not always slipping the first edge stitch on a project, especially when it has to be sewn up. I would like to say though that when I’m working on a garter stitch project which has no real directions (such as in a scarf) I prefer not to slip the first stitch. I happen to like the natural edge of garter stitch for a scarf. What I do, is knit the second stitch from the edge tightly. It makes for an even edge. I pull the yarn as tight as I can ( without breaking it) because that way I can put this project down, pick it up three months later and not have to remember how tightly I pulled that second stitch. I’m currently working on the February sweater on two needles by Elizabeth Zimmerman and am treating the garter stitch edge of the little sweater this way. I just love the organic look of a garter stitch edge! Loved your article! I usually don’t slip the first stitch, except I always do on my heel flaps, makes picking up the stitches so easy. Some shawls say to slip the first stitch, so do’t. I just follow your rule, if the pattern calls for it, do it. That said my seaming is less than to be desired,. I think I just need a really good course on seaming. Thank you! Illustrations and explanations are so clear. This is one of those topics that most knitters will have a strong opinion on but I like that you can explain the rationale; with pictures!! And I went straight to Amazon & put your book on my wish list. I need this “Knitter’s Dictionary” !! Speed dial is now the ONLY thing. I’m such a shiksa! I learned that story ages ago, but it was with a ham! Too Funny! I heard it with cutting the drumsticks off the turkey. For me it’s celery. My Tupperware celery keeper is about an inch too short for almost every bunch of celery I have ever bought. Lop off a generous amount (I never lop off enough and have to go again) to get it to fit. To use or not to use the lopped off pieces? Lopped pieces go in a ziplock in the freezer with the trimmings of onions, the tops of carrots, the tiny cloves of garlic too irritating to peel, the slowly wilting parsley…When bag is full: stock. Thanks for this! I’m a non-slipper, except on sock heels. And I’ve always wondered about that WYIB/WYIF, which made me less likely to be a slipper! PS: Love the jiggery-pokery reference. Cheers! I like the “finished” look of a slipped stitch but always do it at the end of the row. Not really sure how I got started that way but it works for me. However after this article, I now know why it has been harder for me to sew pieces together and get that “firm” and strong seam I cannot get knitting this way. Thanks for the insight! I have not been able to train myself to slip that first stitch when I am knitting something like a scarf, where that more finished edge would look nice. So I end up with a mixed slipped/knit first stitch, which really looks funky. Just on autopilot too much when I knit – which is one reason I love to knit. I find it very meditative. Except when I discover I meditatively made an error 6 rows back, and I have to rip it all out. Then my muttered ( or yelled) curses are far from meditative! My husband no longer asks if I just injured myself badly when I yell. This explains SO MUCH. Thank you! I’m testing SLAI2P…..garter stitch…..continental method…..and finding as I turn the row and am set up all ready to work…..WYIB…..SL the first st…..but…..the yarn should go in between the sl st and the next one to be worked…….Even English throwing catches me unaware at times……I catch this by observing the selvaging done on the sides………oops, there’s a McHenry in the woodpile!! It changes the stitch ,of course; 180 degrees. I’ll look down the side eventually and see that difference in the selvage look created by YIB after slipping or in between the sl st and the next one to be worked. AND: I”” like””’ working this sl st by taking the yarn right versus left, faster and smoother in both methods, IMHO. So, my test now is to work five rows slipped correctly but KIB the last st. How does that look? I don’t like it. Anyone else tempted to KIB on that last stitch? 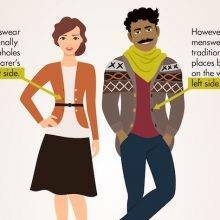 Decades ago dear Vogue Knitting did an article on selvedges for knits. They had oodles of methods and styles, some quite robust. I lapped it up. For my own purposes, selvedges are a wonder for ease of assembly, and for scarves and shawls. For the latter, if worked in garter st, the old slip as if to purl with yarn in front for the first st, and knitting the last st of the row, is perfect. On that rare occasion I am doing flat knitting, a stitch worked as a knit on each side, making a garter edge, is best as that method does not deform the adjacent st. The little bumps making matching-up a snap. Knitters have done without the refinement of selvedges for an awfully long time. Despite my fondness for them, “optional” appears to be a fact in the matter – unless of course selvedges are designed into the pattern. Happens pretty often. Selvedges certainly aid the knitter who has not yet got control of their edges, have to say. So, Happy Knitting, however you do it! My husband wants to know what happened to the ends cut off the pot roast. I’m a diehard sweater knitter. I prefer to slip the last stitch wyif and knit the first stitch of each row. Keeps the fabric from curling too much (sometimes it just won’t block flat!) and makes it far easier to seam a seam that lays entirely flat. Using every bar on the edge to mattress stitch can cause some puckering issues or too much firmness for garments that want for softer drape, so the bars of slipped selvedge stitches are perfect for seaming, in my opinion. This is a great article! Very informative! I have a question. So I’m working a pattern that on the wrong side, calls for slipping the first stitch as if to purl, yarn in front, and on the right side, slip with yarn in back( doesn’t specify knitwise or purlwise). Do I slip purlwise in both cases? And would you mind explaining slipping the first stitch purlwise with yarn in back? (If that’s even possible?) I can only find instructions for that midrow. Thanks! I hope this is the right place to ask this question. I’m knitting a baby blanket with a slip stitch edge and I forgot and have a few rows when I just knit the edge. I don’t know how to fix it with ripping back many rows of cables. Any help would be appreciated. Thank you in advance. This has happened to me and I found it pretty easy to fix without ripping the whole thing back. I just took the edge stitch off the needles and unraveled it down to the placed where I forgot to slip, and then I alternated slips (on the RS) and knits (on the WS) of that stitch all the way back up.